I’ve been thinking about taking a stab at my bookshelves…again. I have done this several times over the years, and the books I have left, have survived several culling’s and it will be more difficult to par down this time around. What I’ve been doing the last couple of years is; read a book, then decide – good enough to keep? or donate/toss material? This have help me getting rid of quite a few books, but I haven’t been ruthless enough in the “how good must a book be, to be a keeper” department. I did a count of all my different books today, and I found I have 346. For some of you this isn’t even a collection (I have friends with more than 5000) and for some of you this is a lot (I also have a friend that I know have 2 and only because they were presents). I’ve had way over 1000 at one time, so being down to 346 isn’t to bad. Only books that I love are keepers and deserve a place in my bookshelves. You know, the ones you’ll read over and over again, are part of a special collection, have special sentimental value, is an absolute keep for reference/work/hobby reasons or you just absolutely have to keep for some reason or another. 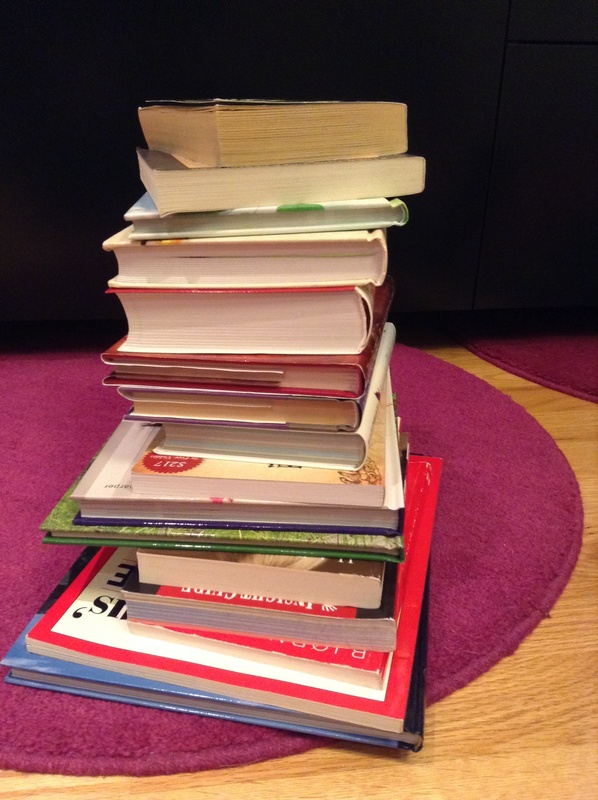 Books I like, but that are not quite in the “I love” category, will go (donate/toss or sell). I will however, write down the title and author of these books on a “could read again maybe” list. And if and when I ever decide, I need or want to read it again, I will get it as a Kindle e-book. Will go – either donate/toss or sell. My overall goal way into the future is to have most of my books as e-books, then I won’t need to use to much space in my small house for books. But as I said, way into the future. I’m not quite ready to part with all my physical books quite yet. So let’s see how we do in 2014. Any purge is a good purge! Great job!